We are offering Jointing Sheet. We supply Asbestos and Non Asbestos Jointing Sheets of various brands like Ferolite, Champion(Spitmaan) to Sugar, Paper and Chemical Industries. We can supply both Metallic(High Pressure, high temperature) and Non Metallic Jointing Sheets. We are supplier and trader of Jointing Sheets. We offer this jointing sheets in excellent quality at competitive prices. Our products are made from special quality of raw material and modern technology. 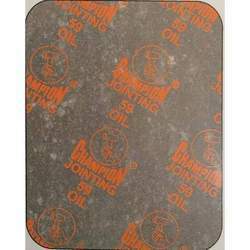 Our company has been acknowledged in providing Steam Jointing Sheet. Our company is instrumental in offering a wide range of optimum quality Jointing Sheets End to our prestigious customers. 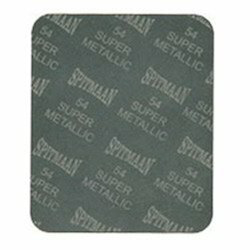 These compressed sheets are made from organic fiber with nitrite rubber as a binder. These sheets are useful for steam high pressure application. Maximum Temperature – Up to 300 C.